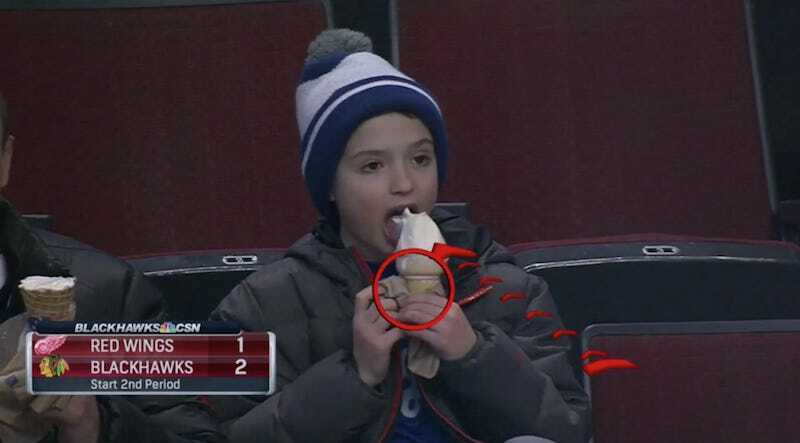 Admire the persistence of this young fan who was eating ice cream during Sunday’s Blackhawks game. This kid doesn’t waste a movement. We need better analysis of the cone attack, though. Thankfully, Blackhawks color commentator Eddie Olczyk was willing to oblige. “No drip, no nothing.” That dessert-eating phenom’s going to go places.